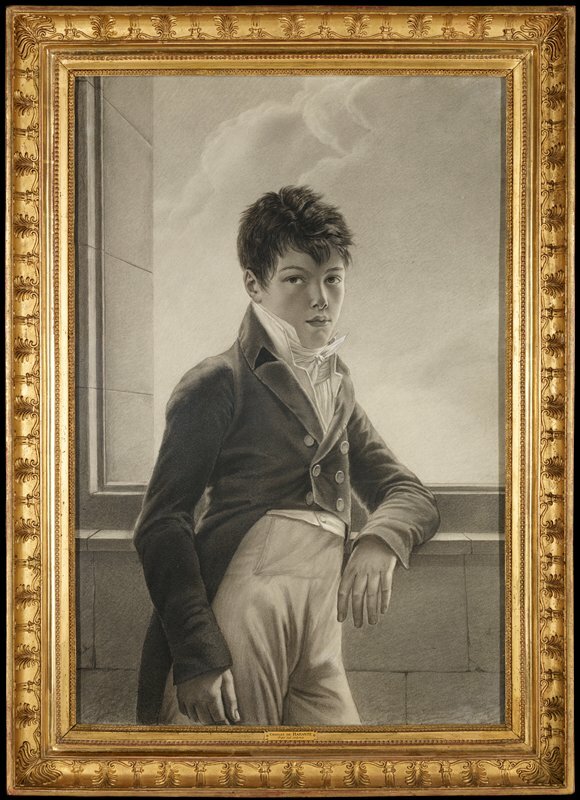 This self-portrait, made by a teenage Charles de Barante, attests to the skill an individual can attain when learning to draw as part of preparing for life as a gentleman. Unfortunately, Barante’s life was cut short. Not long after making this drawing, he entered a military school established by Napoleon Bonaparte, the emperor of France. A few years later, he was helping to lead a cavalry charge across the river Piave in northeastern Italy. The French infantry following behind him and his riders saw Austrian forces advancing from the opposite bank and opened fire. Barante took a bullet and fell dead on the spot.